Fred Theatre’s latest production is a new adaptation of A Christmas Carol. Written especially for us by Jonathan Lloyd and Abigail Walton, the production is now on tour to schools across England. 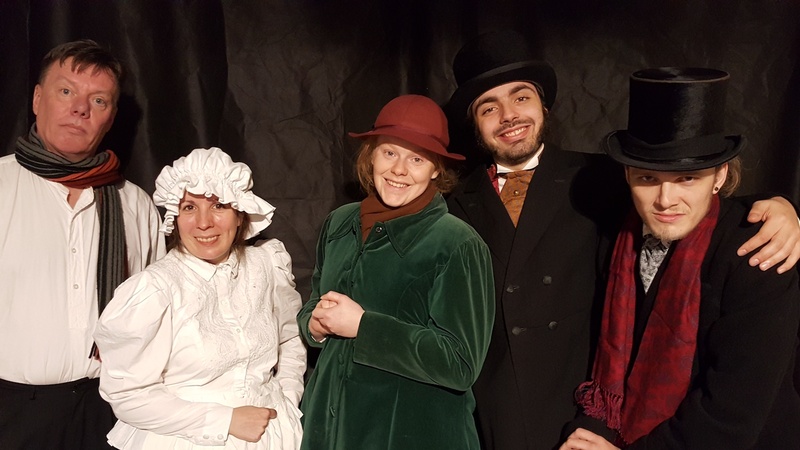 The tour continues till mid-December, and the cast (pictured) is Phil Hemming, Sarah Robinson, Ellie Alum-Marshall, Benito Marlay, and Lyle Mitchell.